A Pretty Pendant Necklace I will be Wearing All Summer Long! With the weather warming up, I always seem to switch my heavy statement-making jewelry out for delicate, lightweight pendants and charms. I especially love that at the moment, the big trend in fashion jewelry seems to be layered and stacked delicate, small, pendant necklaces. 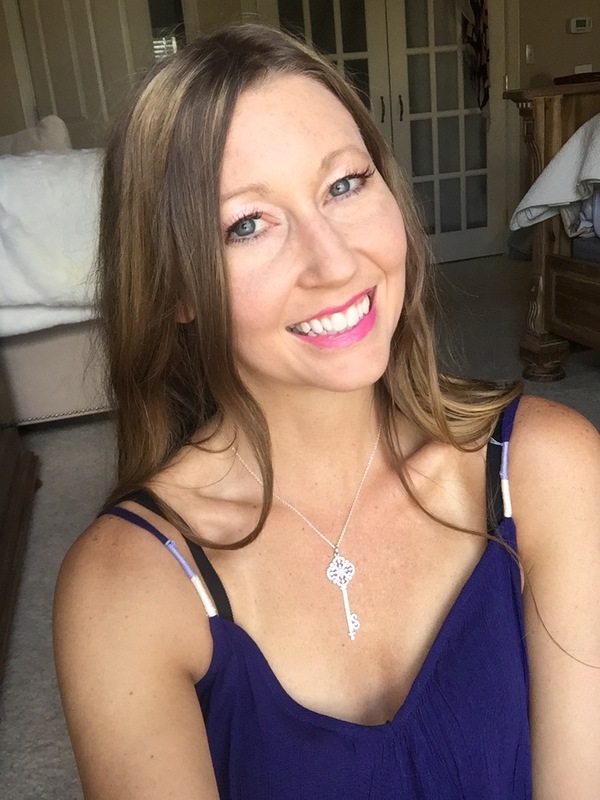 I recently found an AMAZING jewelry site to help you jump on that trend! And if you happen to be a big charm bracelet lover, you will be thrilled with the selection of charms they offer too! 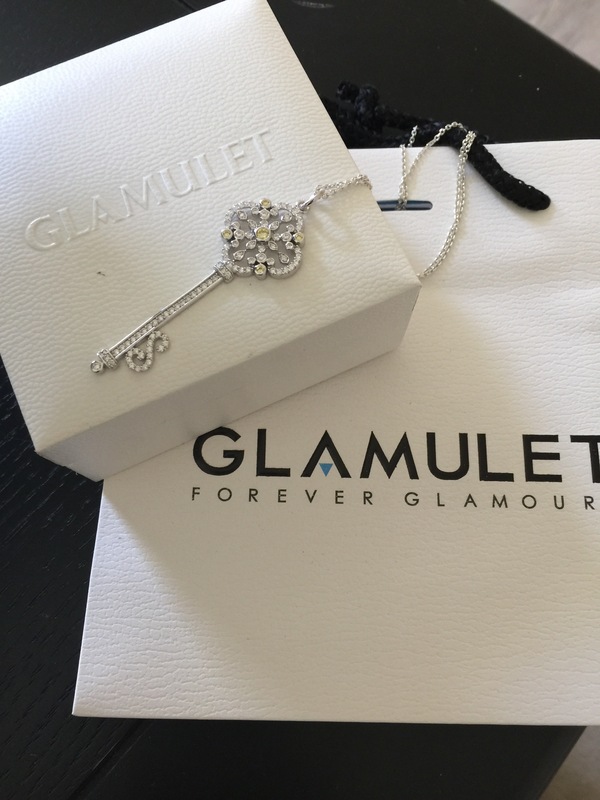 Glamulet.com offers a fabulous selection of charms, bracelets, necklaces, rings, earrings, (even engagement rings) and more! Best of all, they are all at a price that will make you smile! 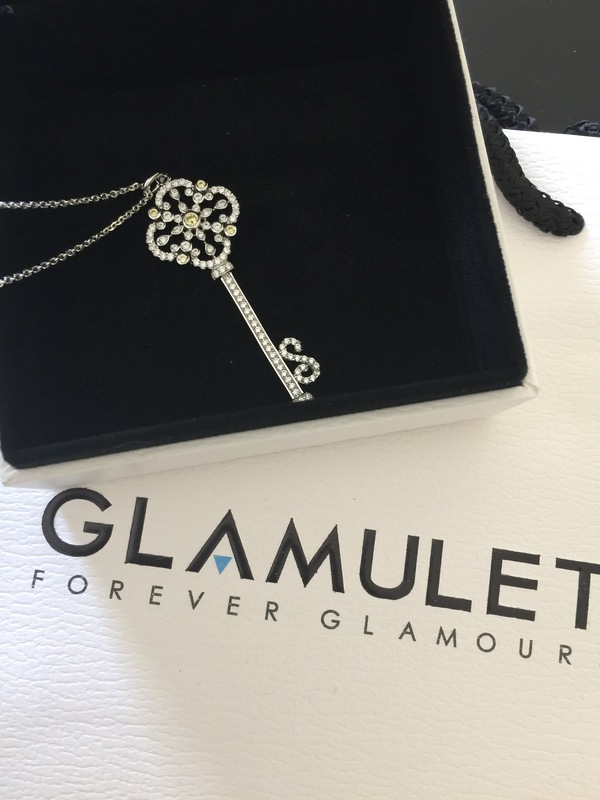 I recently got to try out their gorgeous Snowflake Key Pendant necklace from Glamulet, and was instantly in love when I opened the package. This is the perfect necklace for warm weather, or really any time of the year. I’ve been wearing it everywhere and it looks absolutely gorgeous all on its own and incredible stacked with other delicate silver chain and pendant necklaces. 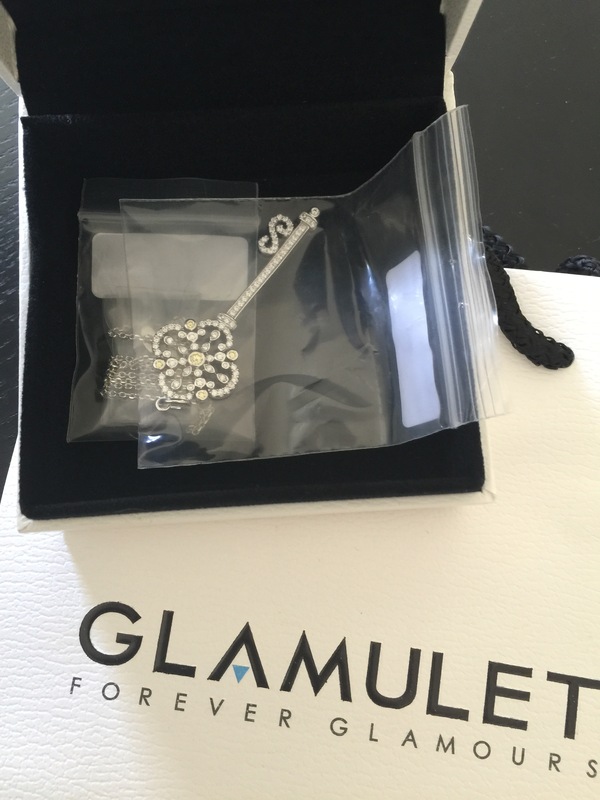 I was very impressed when my package from Glamulet arrived. The packaging is absolutely immaculate. 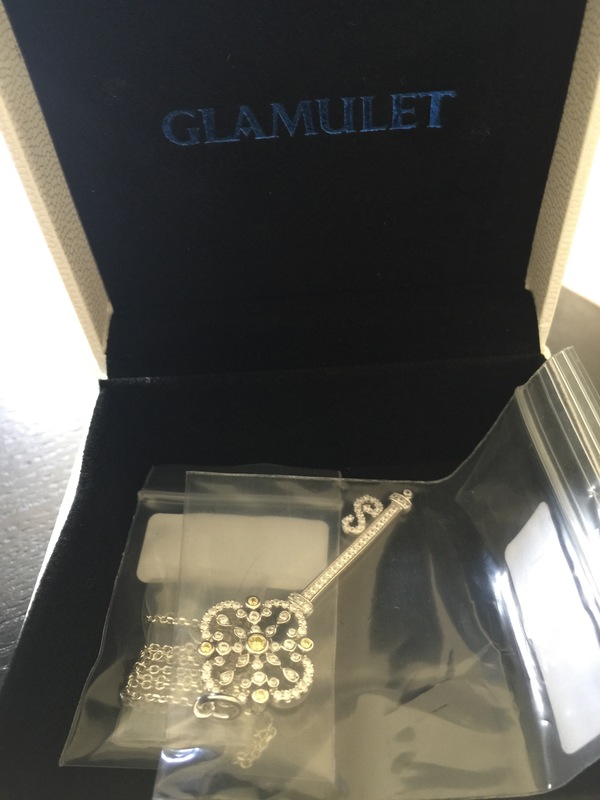 You get a lovely black soft box to store your Glamulet jewelry in. The chain and pendant also come separate but it’s a cinch and only takes a second to add the beautiful .925 sterling silver and gemstone pendant to the silver chain necklace. The pendant has pretty faint yellow gemstones in the center and four corners which I absolutely love. It also has pretty glistening gemstones lined down the trunk of the key as well, making it a fabulous show-stopping piece. The necklace is absolutely exquisite, as well as a high quality but lightweight piece, made with beautiful craftsmanship. Isn’t this necklace to-die for? I’ve worn it every day since I got it, even to the lake this weekend. It looks just as amazing with your bathing suit as it does with your t-shirt and jeans, or your little black dress! This necklace is extremely versatile thanks to its beautiful, delicate, and lovely features. It is the perfect necklace you will end up wearing over and over again in the summer heat OR the winter cold! What do you think of this lovely silver snowflake key pendant chain necklace? What would you style it with? Let me know in the comments, I love hearing from you! This is a very pretty pendant. I love silver. I think it looks so nice. What a pretty necklace! Vintage keys always look so cute as pendants! This is gorgeous! I love keys as pendants! 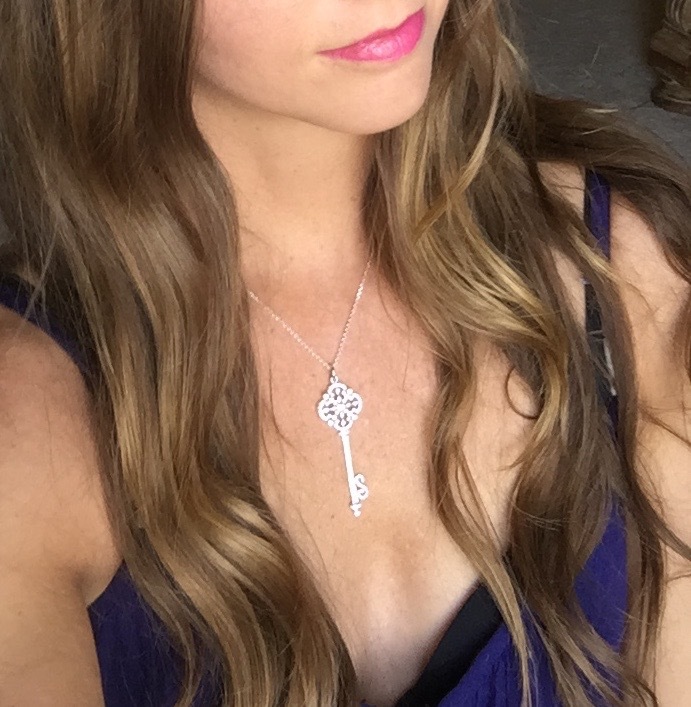 I absolutely Love that necklace, It is Gorgeous! I would wear it all the time too! I love silver & that key is sooo pretty. I do like the vintage key pendants. Thanks for sharing this. Ugh, this pendant looks gorgeous on you!! The silver goes perfectly with your complexion! I would probably style it with… everything! It could literally go with any outfit! Great post. Thanks For sharing your helpful and informative post. Can you tell me? How do you keep sterling silver from tarnishing? Yes, if you find a silver/jewelry cleaning cloth from a nearby jewelry store, they work amazingly at cleaning up jewelry, even when it’s tarnished! They come super clean and look brand new again!